In the podcasts below, Daniel Pick, author of Psychoanalysis: A Very Short Introduction, introduces psychoanalysis, discusses its role within history and culture and tells us how psychoanalysis is used today. 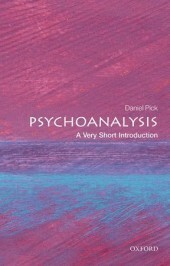 Daniel Pick begins his brief history of psychoanalysis with Sigmund Freud, the “father of psychoanalysis”, and goes on to describe how psychoanalysis has developed since the late nineteenth century. His final podcast covers what psychoanalysis looks like today and what people should expect from psychoanalysts. What do you think makes a good psychoanalyst in the twenty-first century? Featured image credit: ‘Bubbles, streams, and waves’, by Wolfgang Wildner. CC-BY-SA-2.0 via Flickr. Daniel Pick is a psychoanalyst and a historian. He is Professor of History at Birkbeck College, University of London, a fellow of the British Psychoanalytical Society and of the Royal Historical Society. He is also an editor of History Workshop Journal, is on the editorial board of the New Library of Psychoanalysis, and is the author of Pursuit of the Nazi Mind and Psychoanalysis: A Very Short Introduction.